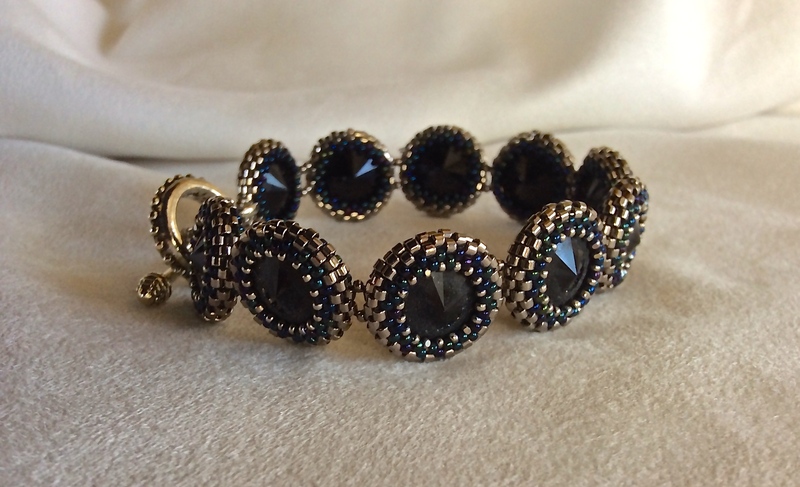 Swarovski Onyx Crystal Rivolis bezelled in nickel plated beads. There is a tiny deep metal blue band of beads, in the inner circle. The bracelet is reversible, switching the inner most circle of beads with more metallic blues. Wow…two bracelets in one. There is a pair of complementary earrings.